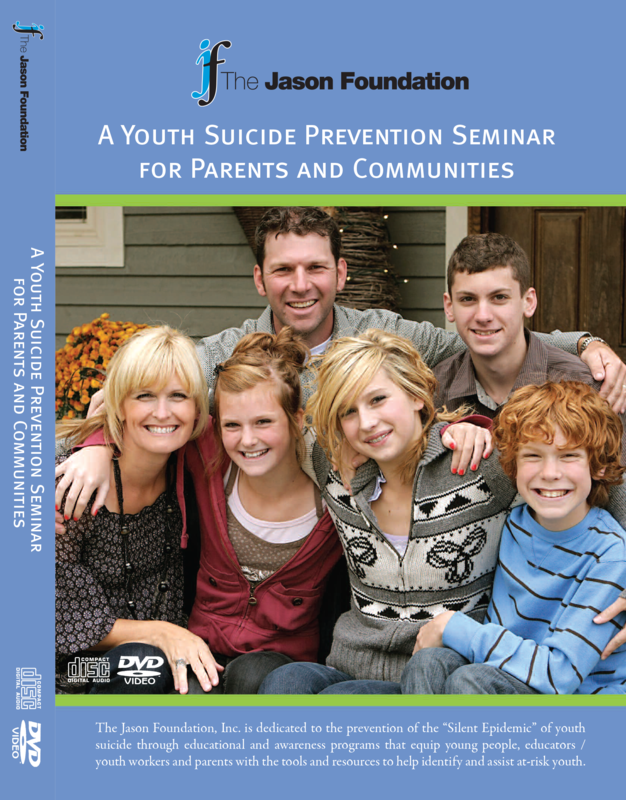 A Youth Suicide Prevention Seminar for Parents and Communities," is designed specifically for parents. The seminar tackles the tough subject of youth suicide and provides strategies of awareness and prevention for parents and other adults. This seminar is a self-contained presentation, presented by Clark Flatt, President of The Jason Foundation and Jason's Dad. This seminar contains statistical information, warning signs of suicidal ideation, elevated risk factors, what can be done, suggested resources, etc. There are two presentations both with Mr. Flatt presenting; however, one presentation also includes interpretation in American Sign Language, provided by the National Deaf Academy in Mt. Dora, Florida. Also included in this presentation is an exercise called Project Hug that Mr. Flatt encourages parents to try with their children. The purpose of Project Hug is to help parents build better communications and relationships with their child. Project Hug cards, which outline this exercise, are also available upon request. For every 100 adults you enter that will be exposed to this DVD, we will send you a pack of 20 Project Hug Cards. The presentation runs approximately one hour and 40 minutes and was filmed in 2010. Some of the sponsors and affiliates may have changed, but the message remains the same.